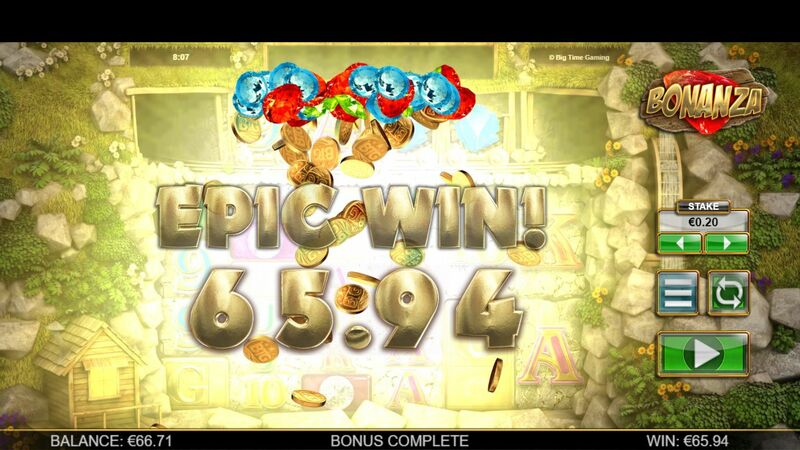 Here's a superb jewel-themed new online slots game for those who are after some lucky gem wins. This 5 reel, megaways system slot by Big Time Gaming is one that you won't want to miss as there are a staggering 117, 649 ways to win. Search SlotsBaby for more games by Big Time Gaming. The graphics are stunning with an earthy feel with silvery stones, green shrubs and orange flowers surrounding the gold mine. The prizes up for grabs are very golden indeed, you literally have to spell out the world GOLD to win and unlock the exciting free spins feature. If you love promo's, check our casino deposit bonuses today. 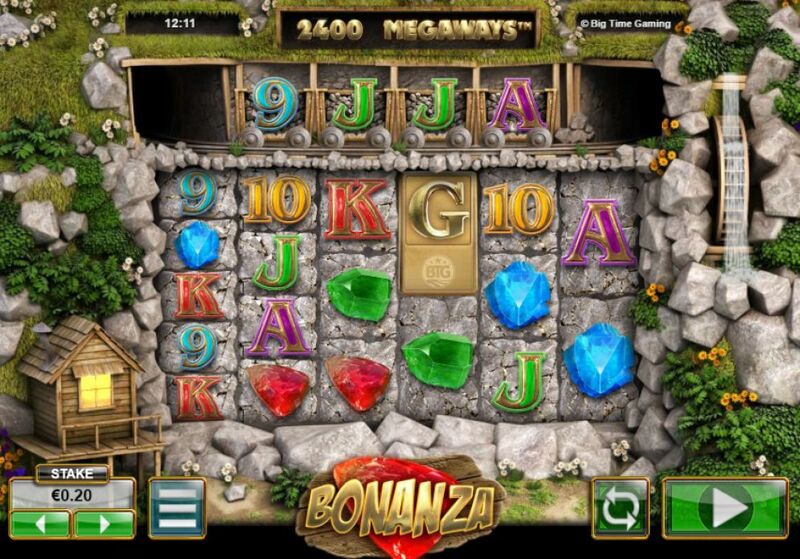 Bonanza is a jewel filled slot based underground in an exciting gold mine. This slot offers a megaways system where you can win up to amazing 117,649 ways. The design is super pretty and colourful. The reels are placed behind a gold mine which is surrounded by lots of beautiful greenery, rocks, little orange flowers and a cute little wooden house. The symbols include different coloured gemstones such as red rubies, bright blue sapphires and green emeralds. You'll also see a bunch of colourful playing card symbols (9, 10, J, Q, K and A). The Wild Symbol - The wild symbol in this slot is the dynamite. This replaces all other symbols on the reel apart from the scatter. The Scatter Symbol - The scatter symbols are the letters G, O, L, and D. Landing all 4 of these will unlock the free spins feature and will award you with 12 free spins. Free Spins Round - The exploding reels are also active during this feature and every time there's an explosion, you'll gain a 1x multiplier which will increase with every blast. Watch out for the bars of gold that will land in the carts above the reels. Finding 3 of these will grant you another 5 free spins in the bonus round.